It's safe to say that Frankie is one of my favorite bloggers out there, and has been for years. Whether I am gushing over her gorgeous long locks, amazing vintage finds, or cute pup I always walk away from her little space on the internet feeling so inspired. Browsing past archives on Snail and the Cyclops is always fun too! I am very excited to have her answer a few questions. Isn't she lovely? 1. Decade? Right now it's probably the 60s, but they each have their own charms. oxford collar shirts. It's been my lazy go-to outfit. 4. Activity/hobby? Flea market season. that come along with that magazine. with no agenda but to see the sights. I always remember those first visits, no matter how many times I return. I am so happy to have the lovely Amanda here to share her favorite things! She is a wonderful graphic artist and designer over at Kinfolk (my favorite magazine) and an all around great gal. Visit her blog for more inspiration! 1. Place to Travel: I love to travel...and I've visited many places, but my favorite place seems to always stay the same: Glen Arbor, Michigan (Sleeping Bear Dunes National Park). It's a little piece of heaven on earth. 2. Source of Inspiration: Books...old, new, big, small. We have a whole wall of books at home and they seem to be a never ending source for inspiration. 3. Food: Fresh fruit. Not a day goes by that I don't eat a strawberry or a grapefruit. 4. Blogs: I love so many. Perhaps instead, I'll list what I've read thus far today: Hungry Ghost and Forty-sixth at Grace. 5. Possession: When Cree and I were first married, we decided to start a blessing journal. Every night, we write something we are grateful for. It has become such a treasure. 6. Season: I'm totally a summer girl...which is ironic since I currently live in Michigan. Head on over to her blog to say hello! 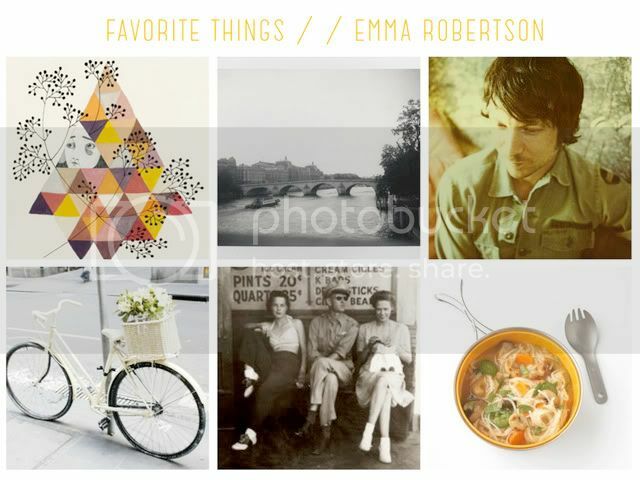 In "amanda jane jones", "favorite things"
Graphic designer Emma is amazing at all sorts of things. She makes insanely cute paper good at her new(ish) shop, Our Paper Shop, knits gorgeous items, and has a great blog as well. 1. Blog? This is tough. If you guys could see how many people I follow in GoogleReader, you'd laugh. If I had to pick a few top ones - they would be : 01. Sandra Juto - I can never get enough of her images! She captures her home and her creative life in such a unique way. 02. 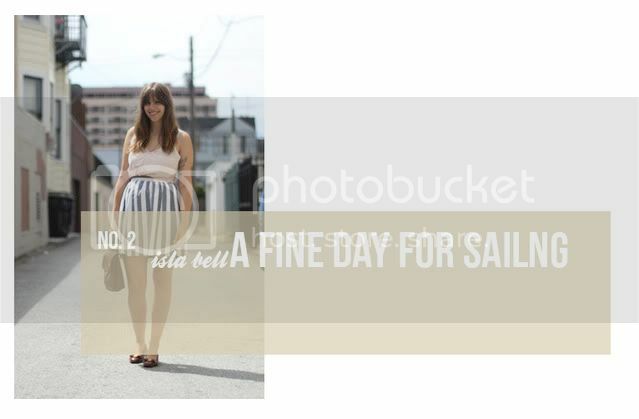 Bri Emery over at DesignLoveFest ( link : http://www.designlovefest.com/ ) - she is one of my office mates and has been such a direct source of inspiration. She works so hard and it definitely shines through on her blog. 03. Kate Arrends of Wit & Delight - She straight up has a good eye and is very original. 2. Place to travel? My favorite place to travel is Paris, no question about it. I lived there for a while and miss it daily - the lifestyle, the pretty view that's on every corner, the food, I could go on and on. Whenever I visit, I like to stay away from the Metro and ride a bike everywhere - it's too lively and beautiful of a city to not be outside enjoying every inch of it. 4. Era? Uh Uh, this is a hard one. I guess I'd have to say the 30's or 40's. I have an addiction to old war movies from these time periods and the idea of a technology free world. 5. Possession? I am trying really hard not to love or want too many possessions. Although, the two things that I love most right now are my bicycle and my desk. After riding daily in Paris, I have fallen in love with bikes and seeing the world while zooming around on two wheels. My desk is my grandpa's old drafting table. It is made out of a beautiful dark wood and helps me feel closer to him. I love that we both have created and worked on the same surface. 6. Food? I love Indian food - yellow curry rocks my world!! I also love Thai food - The Wok Toss Noodles at a restaurant in my neighborhood called Gingergrass are amazing!! Whenever I cook, I tend to make rice and then saute all kinds of yummy vegetables. Blogs. . . I'm going to do my best to answer with only one. Because my 'favorite' can usually become my favorites. With all things. So, currently, right now, a blog that I never cease to enjoy updates from is the dear little space Rose & Crown. Place to travel. . . Oh how we love to travel! We tend to haunt places like Brooklyn and Bellport, or Paradise Island... But, I think the best trip Andrew and I have ever taken was to Wellington, NZ. That little city really stole our hearts and captured our fancy. We hope to go back one day. Activity. . . Oh to pick one! I think, if I must, it is playing the piano. Since I was so very small, this is the primary way I clear my head and organize my thoughts. Possession. . . My grandparent's settee. It's like having a little piece of them in our home, with us always. I can picture them there, when it was in their home. And it makes them feel close. Season. . . Right this second, I am pretty eager for spring- the return of warmth, the smell of cherry blossoms, the explosion of color from the earth. The experience of seasons since living on the east coast has been a precious thing. 1. Favorite camera to shoot on? This is an eternally difficult question, and I think it's not too much of an exaggeration to say that it's like asking a parent which one of their children is their favorite. My most trusty camera is my Polaroid 195. My most impressive camera is probably my Mamiya Universal Press. My most used camera is probably my Voigtlander Bessa R2. My most beautiful and fun-to-use camera is my Zeiss Ikon ZM. Haha. Those four are what I do 97.4% of my work with. I also have a Canon 5d Mk II for them times when I'm forced at gunpoint to use digital (but the camera still owns a very soft spot in my heart). 2. Favorite place to travel? So far, I've loved Japan and Ireland the most. Turkey was pretty sweet as well. I am obsessed with medieval western history, so anywhere in Europe is a good bet - the snowier, the better. North is my favorite direction. 3. Favorite decade? 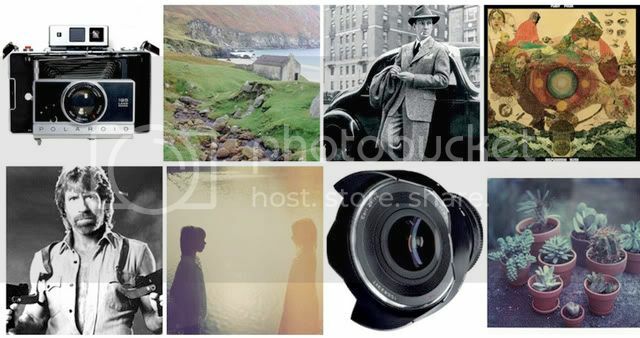 I've never given it much thought, but off the top of my head, I'd have to say the 40s for style, the 60s for music, and the 70s for cameras (the Polaroid SX-70 and the Polaroid 195 both were manufactured in the first half of the 70s). 4. 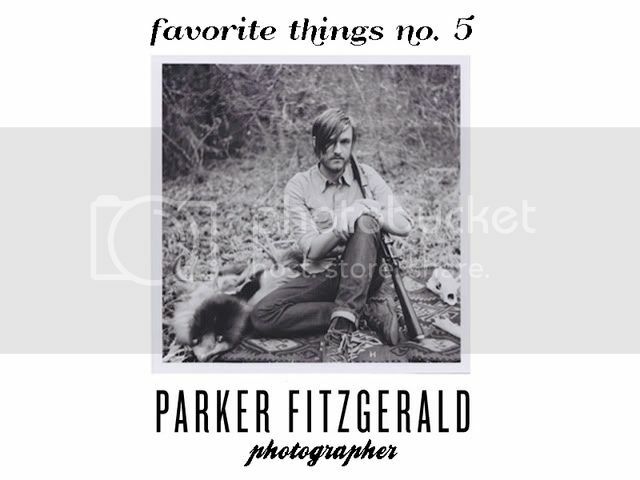 Favorite music? A couple of mainstays for me would be Fleet Foxes and Radiohead. A couple of bands I'm really into right now are Other Lives and The National. Some local Portland bands I love are Greylag, Harlowe and the Great North Woods, and Great Wilderness. 5. Can't live without. . . Chuck Norris, of course. 6. Favorite photographers? I don't honestly follow that many big photographers. I have some favorites that I've met over Flickr, though. One is Aëla Labbé. She's so awesome. I do love myself some Japanese artists, though. Akihiko Yoshida, Ayami Kojima, Hiroaki Samura, and Yoji Shinkawa are just a few of my faves. 8. Favorite thing I own is . . Another tough question. I suppose my most USEFUL thing is either my Voigtlander Bessa R2 or my Polaroid 195. The most fun thing is my Ikon. Maybe my computer, too? I do, however, have a room full of cacti. I love them all. If I could carry them around in my pockets, I would. I have too low a pain tolerance for that, though. I'm happy to introduce to you a dear friend, the lovely Roxanne. She has amazing vintage style, a talent for baking (she is about to graduate at the Culinary Institute in Napa) , great music taste, and is generally probably the coolest chick around. We went to school together and let me tell you, she has always had this amazing style and taste. Check out her blog for more inspiration! 1. Favorite shops? Mostly thrift stores, some of my all time favorites being Thrift Town (in SF), Savers, and Family Thrift (in Arroyo Grande!). However, I do appreciate shops to gawk at, like La Rosa on Haight Street. Some day. . .
2. Current blog crushes? 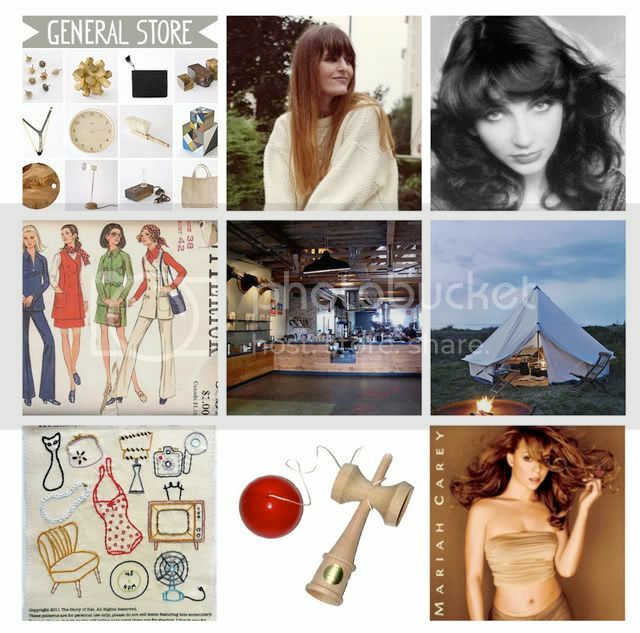 It Girl, Rag Doll; Fancy Fine; Feathers & Things; and Foxtail & Fern. And then I love browsing through old archives of The Snail and The Cyclops and Liebemarlene Vintage. 3. Music I love.... Oh Sheesh, humm. . .I've been loving DuWop music, as of late. But I love everything from shoegaze to 90's girl grunge to folk to big band. It all just depends. 4. Favorite decade? 1950's. I think I was born in the wrong decade. 5. I can't live without my.... cat, Maybelline. AWESOME! 6. Favorite place to travel? Home. 8. Coveting? 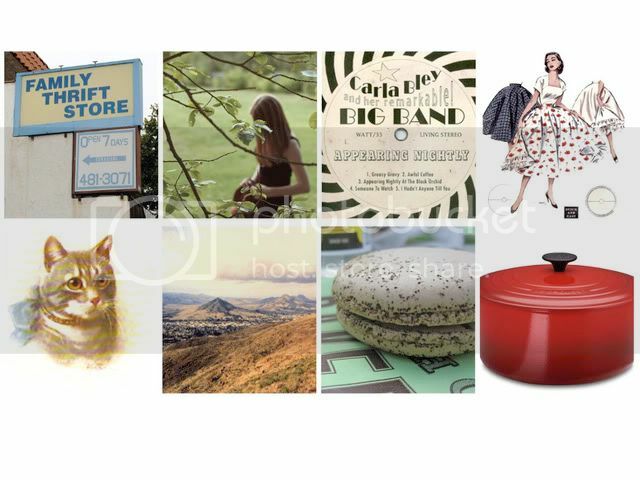 A Le Creuset Dutch Oven, new camera, a million vintage dresses and a bigger closet. 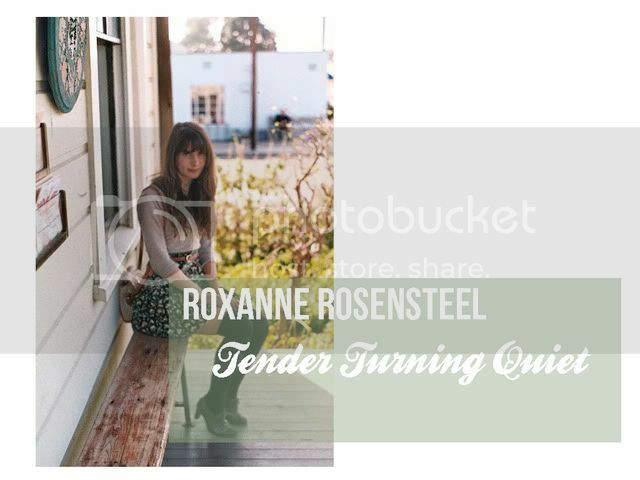 In "favorite things", "roxanne rosensteel", "tender turning quiet"
A Fine Day for Sailing is a blog that I have recently fallen in love with and keep coming back to. 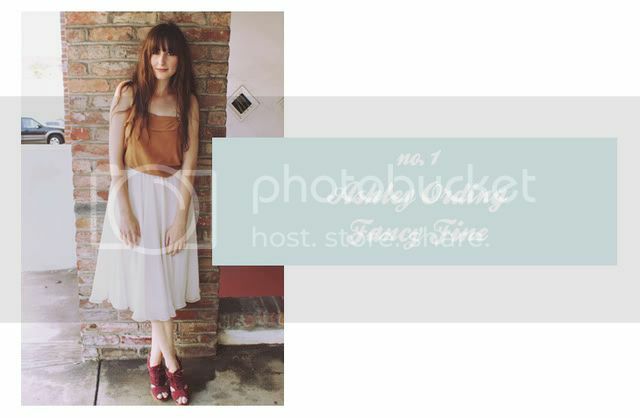 She mixes modern, vintage, tomboy, and girly just perfectly to create a perfect style. 1. Favorite shops? I'm addicted to thrifting so second handstores are my jam. Salvation army, goodwill, savers, the weird little church ones... you name it. I don't shop online very often, I like to be able to hold things and really see them. Home in San Francisco my favorite stores to pop into and browse are the general store, painted bird, and paxton gate. 3. Favorite musicians? Take a deep breath....Talking Heads, The weeknd, The Radio Department, Mirah, Kate Bush, The Velvet Underground, Neutral Milk Hotel, Summer Camp, Bon Iver, Band of horses, Painted Palms, Washed out, Fever Ray, Blackbird Blackbird.... and many more. 4. Favorite decade? the 70's! 6. Favorite place to travel? Camping trips in California. You can't beat summer nights by a camp fire and days spent swimming and exploring. 7. My dream job is. . . I'd love to own a little vintage store one day. 8. Current obsessions? Kendama! This addiction started a couple weeks ago, I can't put that toy down. 9. Guilty pleasure? Mariah Carey. Her sweet voice puts me in a good mood every time. I am excited to introduce to you all a new little segment on my blog, that I (cross your fingers) will be routine about and keep up! I hope to spread the inspiration and love through these nice gals. If you are familiar with Ashley Ording's blog, Fancy Fine, you probably love her for her great personality, drool worthy vintage collection, and her ability to belt it out on karaoke. She has such a fun, humble spirit about her that I just adore! Such gal friend material, no? 1. Favorite shops? My favorite places to shop are flea markets, but I also love a trip to Goodwill, Salvation Army, or Thrift Town. My favorite San Francisco vintage shops are Ver Unica, Held Over, and Painted Bird. I also love visiting my hometown up north, Santa Rosa, and ogling all the pretty treasures at Hot Couture and Skirt Chaser Vintage. 2. Current blog crushes? My crush list is looong! I recently discovered Dakota's blog Sweetheart of the Rodeo and I'm completely smitten with her vintage style. Other crushes are Anabela, Hannah, Emily, Crystal, Doris Anne, and you! 4. Favorite decade? Lately I've been the most fascinated by the 1920's, probably a result of reading a biography about Clara Bow and watching a lot of silent films. But I suppose my favorite decade would be the present one because I get to enjoy all the lovely bits from every decade that came before! 6. Favorite place to travel? My new favorite place is Reno, believe it or not. I'm almost hesitant to reveal just how magical it can be because it still feels like a secret, but when I went there a few months ago I had one of the best weekends ever. I'm a sucker for kitsch and Reno IS kitsch. Also, the thrift and antique stores there are crazy amazing and I found the perfect karaoke bar where I could definitely see myself becoming a regular. New York is high on my list too! 7. My dream job is. . . Pretty much what I'm doing right now, buying and selling vintage. Currently it's not my full time job but I'm hoping to make that transition sometime in the near future. I love nothing more than searching high and low for beautiful vintage pieces and then finding them a new home. I also wouldn't mind being the singer for a jazz band, I just have to find the perfect group of talented old men to be my musicians! They have to be old men, obviously... preferably wearing suits and bow ties. 8. Current obsessions? 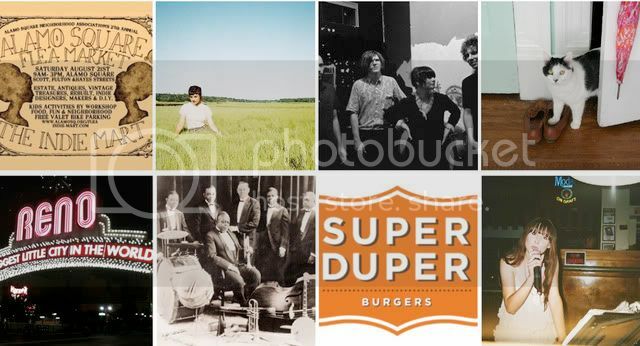 I'm pretty obsessed with the burgers at Super Duper Burger, which just opened a short walk from my apartment. I'm also obsessed with my upcoming trip to New York, making plans for my blog and shop, and watching American Pickers (which I only just recently discovered, the downside of not owning a TV). 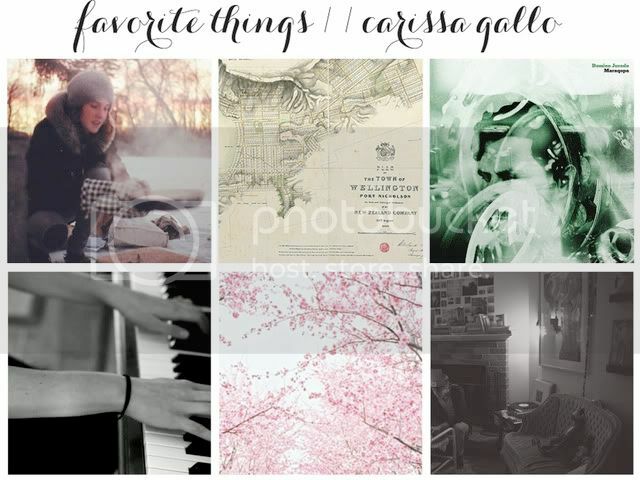 In "ashley ording", "fancy fine", "favorite things"